Our Premium Vegetable Transplants are available in Large Six Packs for the Fall. Fall Vegetable plantings can be as extensive as spring plantings. In addition the planting window is somewhat longer, including late summer as well as fall. 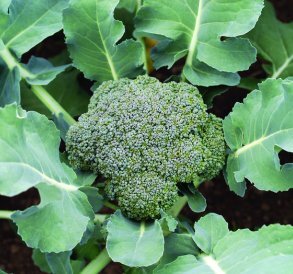 Planting can be started as early as late July for Broccoli, Cabbage and Cauliflower. Mid season planting can be started in late August or early September. 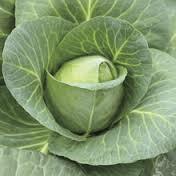 For hardy types such as cabbage, lettuce, and Celery a late planting from mid September thru late October is possible. 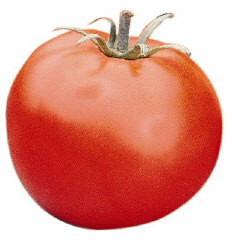 Tomato - Tomatoes can be planted for fall as early as mid July continuing thru late August - and on into September if an early winter frost does not concern you. Broccoli - Packman F1 Hybrid Packman is an early season broccoli cultivar. In a planting of Packman, most of the main heads will be ready for harvest at the same time. Packman also produces many side shoots. Planting early and mid season. Brussels Sprouts - Oliver Winner of the Royal Horticultural Society's Award of Garden Merit, 'Oliver' is an excellent producer of solid, bright green, 2in sprouts on compact plants. 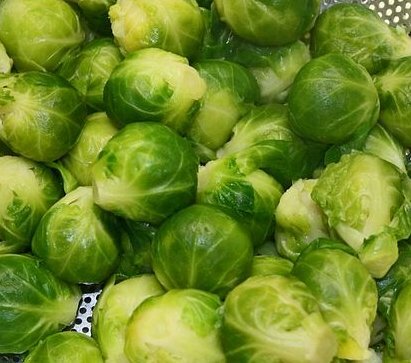 It's an early variety (90 days) with sprouts well spaced making them easy to pick from the stems. Plant early, midseason, or late. 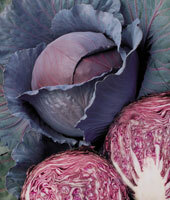 Cabbage - Rio Verde Well protected heads have good tolerance to cold weather and hold extremely well. Head size is medium to large. Can be planted early, mid season, and late. 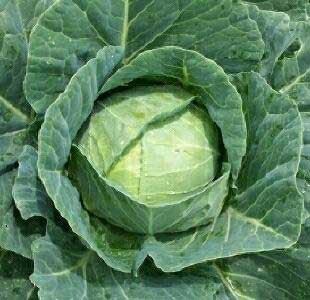 Cabbage - Early Jersey Wakefield A favorite for early harvest, forming a conical, pointed, dark green head with a smooth, sweet flavor. The head is slow to split and slow to bolt. Holds in the garden for 2 to 3 weeks after maturity. Great taste! Plant early, mid season, or late. Cauliflower -Incline F1 Hybrid Offers large, outer leaves and a tight inner wrap that provides good coverage and protection. Heads are large and dome shaped with solid dense curds. Incline is for over winter and cold season. Plant early, mid season, or late. Celery - Tall Utah Crisp, stringless green celery with tightly folded hearts, and broad, thick, well-rounded stalks. It is a vigorous grower without getting punky. Plant mid season or late. Collards - Georgia A beloved favorite for many years, Georgia is tops for tender, moist bite and reliably heavy yields. 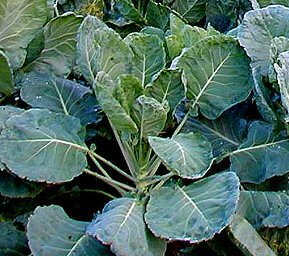 The non-heading plants reach 30 to 36 inches tall, producing abundantly, and the greens are unsurpassed for fresh-collard taste. Plant early or mid season. 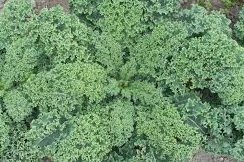 Kale - Vates This most flavorful variety is very dependable. It overwinters well and is resistant to yellowing due to heat or frost. Plant early, mid season, or late. 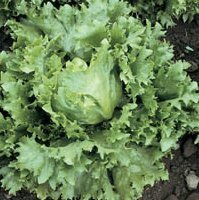 Lettuce - Ithaca This lettuce produces solid, tightly wrapped heads that are crisp, firm and tasty. Produces uniform, medium dark green, 5-6" heads in about 60 days. It is slow to bolt and resistant to black rot, brown rib, and tip burn. Plant mid season or late. Lettuce - Buttercrunch All-America Selections winner. 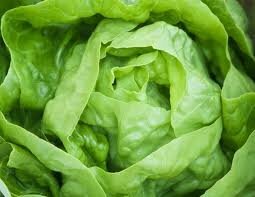 Extremely popular lettuce with luscious, buttery texture and exhibits some heat resistance. Plant mid season or late. Lettuce - Paris Island (Romaine) This lettuce earns a spot with gardeners as the classic romaine. 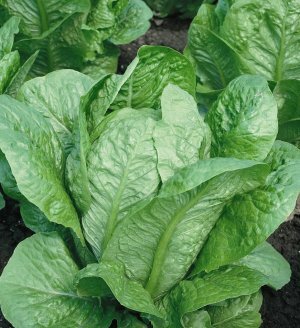 Its compact, dark green rosette of tall, upright leaves is slightly curly with white hearts and has a crisp, sweet flavor. Slow to bolt. Plant mid season to late. 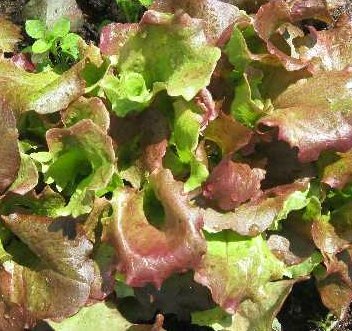 Lettuce - Red Sails Up to 10 inches across, the crinkled and deeply fringed leaves are burgundy-turning to medium green at the base. It stands in the garden a long time after maturity without bolting or becoming bitter. Red Sails is an AAS winner and an all-time favorite. Plant early, mid season, or late. Spinach - Bloomsdale Bloomsdale Long Standing is an old standard. 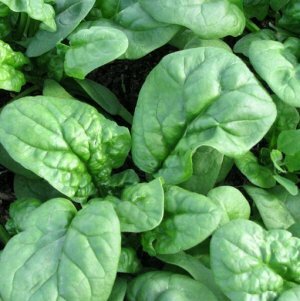 It's a large, spreading spinach that has dark green, savoyed curled leaves. The yield is good, and it is slow to bolt. Plant mid season or late.